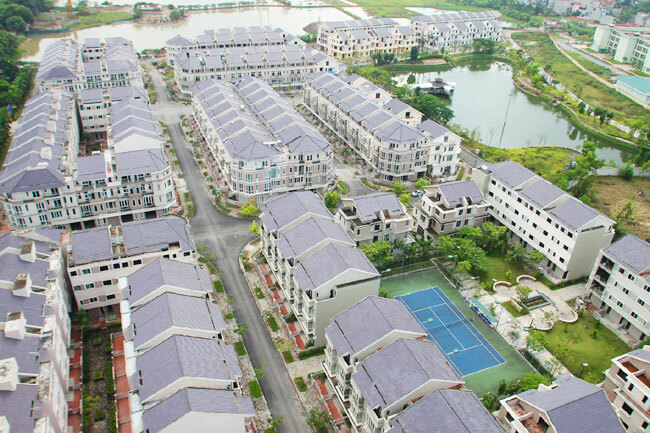 HA NOI (VNS) — Regulatory reforms to create more open policies are making the domestic property market more attractive to foreign investors, including those from Singapore. Winston Lee, product manager of Property Guru, one of Singapore's leading property sites, was quoted by Dau Tu Bat Dong San (Property Investment) as saying that a recent survey of Singaporean developers on the attractiveness of property markets in the Asia – Pacific region had ranked Viet Nam third, placing it after Malaysia and Australia. The attractiveness of Viet Nam's property market stems from a combination of factors, including the country's economic recovery and regulatory reforms, especially with the amended Law on the Real Estate Business and Housing taking effect from the beginning of July with loosened policies for foreigners buying houses. He said rich Singaporeans were seeking opportunities to invest in property abroad as opportunities in the home market were narrowing. Singapore has an estimated 105,000 millionaires. According to Anson Tay, manager of international markets at Property Guru, Singaporeans saw Viet Nam's property market as an attractive market in Southeast Asia with an anticipated rising demand for housing due to the country's growing population with many young people. The Vietnamese Ministry of Construction estimated that Viet Nam needed some 100 million sq. m of housing space each year by 2020. An expert from International Enterprise Singapore said Viet Nam's rapid urbanisation coupled with its gradually improving legal system had created opportunities for Singaporean businesses to invest in property projects, especially in the housing market. Currently, many Singaporean property firms are present in Viet Nam, including major players such as CapitalLand, Keppel Land, Sembcorp and Mapletree. Statistics from the Foreign Investment Agency showed that to date, Singapore was the biggest investor in Viet Nam's property sector, with 75 projects, worth a total of US$10 billion, accounting for 16.4 per cent and 20.6 per cent of the number of projects and the total registered capital in Viet Nam's property sector, respectively. Nguyen Manh Ha, Director of Housing and Real Estate Market Management Department, at a recent meeting said that with measures tackling the difficulties faced by the property market and with the improved legal framework in the property sector and housing development, Viet Nam was becoming an attractive destination for foreign property developers, especially with the market showing signs of recovery after years of being frozen. At a recent meeting in Singapore with Vietnamese Prime Minister Nguyen Tan Dung, leading Singaporean firms showed interest in investing in many sectors, including the property sector of Viet Nam. Moreover, many other foreign investors, besides Singaporeans, are also showing interest in Viet Nam's property market. Japan's Creed Group, at the end of last month, inked a deal to invest $200 million for a 20 per cent stake in Vietnamese property firm An Gia Investment. Toshihiko Muneyoshi, Creed Group's chairman, was quoted by the newspaper as saying that the Vietnamese economy was making a strong recovery and was deeply integrated in the global economy, adding that there was plenty of room for property investments in the country. Still, experts urged authorities to implement more transparent policies to encourage a higher foreign investment inflow into the property sector.